I have a few pen pals who i write to regularly, and i find it very hard to find nice writing paper that doesn’t cost a fortune so i decided to stamp my own. 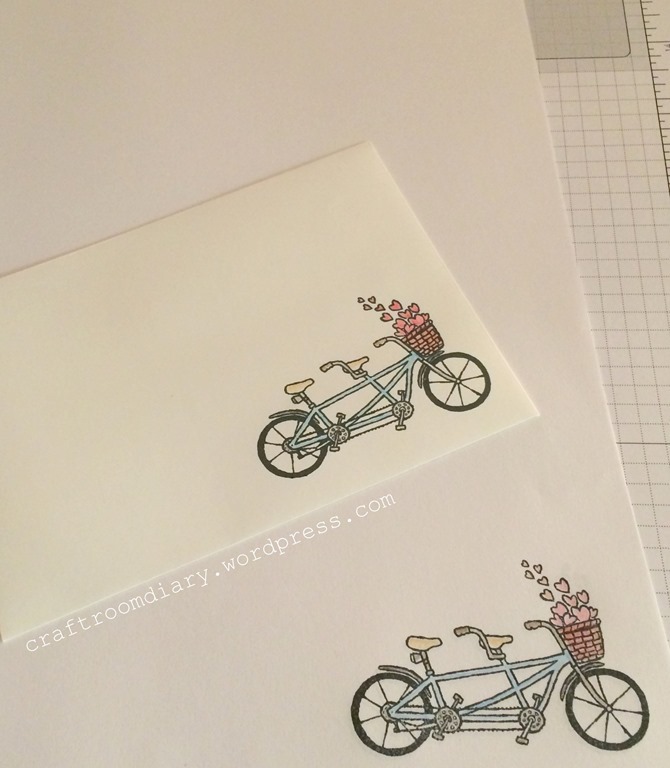 I just used printer paper and stamped the bicycle image then coloured it with coloured pencils. I repeated that on to a second sheet and then on to the envelope. I think i will make some more in the future as it means if i write more than i have paper, i can just quickly stamp another sheet, and it can be any theme i feel like at the time. Finding nice writing paper for cheap can be hard, but I love that bike stamp you have!